I loved this activity this morning. My 3 and 6 year old loved this activity this morning. It wasn't too messy and the girls learnt something while they played! When we mix colours we make new colours. What colours you need to make the secondary colours you want. Tape we tried masking tape but electrical tape worked better. Sticky tape should do. Squirt 2 blobs of paint in the bag, so that they don't touch. 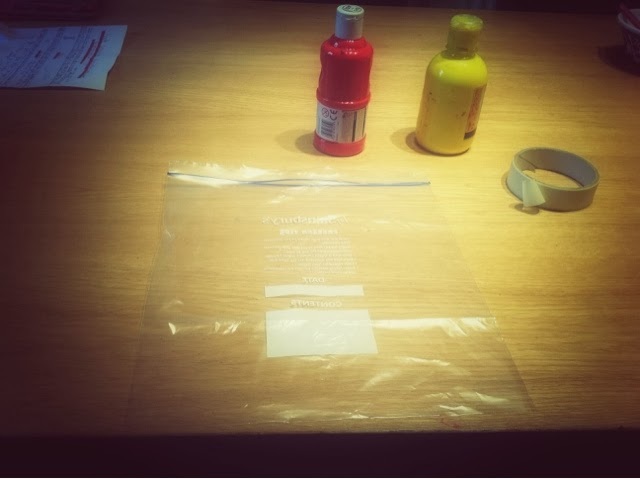 Seal the bag completely and then tape it to a table. 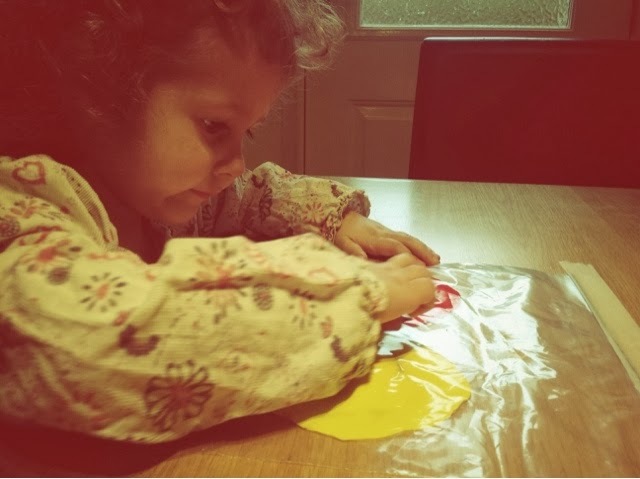 Let your little person play with the paint by gently pushing the paint around the bag. An extra thing to try: make letters and numbers drawing the in the paint with a finger thought the bag. Be careful not to split the bag open with nails though, we had a little tear in one of the bags today. 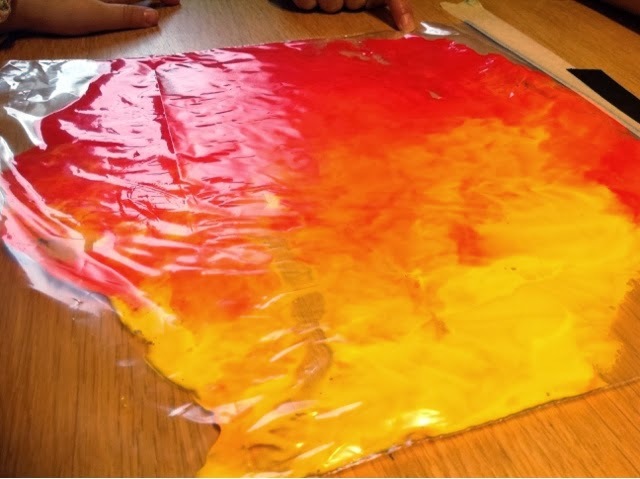 My 3 year old loved that red and yellow mixed together makes yellow and that hers looked like fire! As if - we did colour theory at my home ed group today! Isn't that weird:) this is a great way to do it at home. 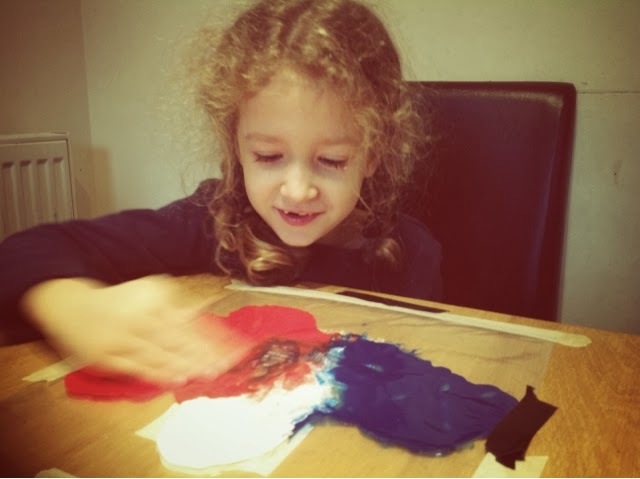 This is very interesting activity that can develop different child's skills. You can learn concentration, art, mixing at one time. I used to do this with my children. Here are theirs works learningjigsaw.com .